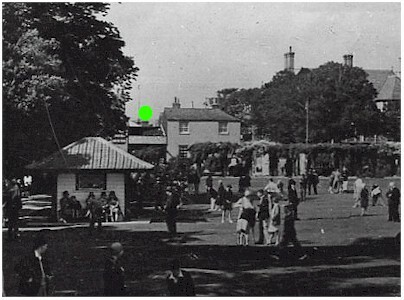 Royal Oak 1933 (left of Centre in picture) viewed from Denton gardens. 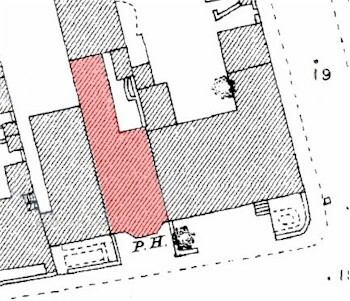 The Royal Oak was actually a small building that later incorporated the house next door before being rebuilt. It may have formally been the Sovereign. 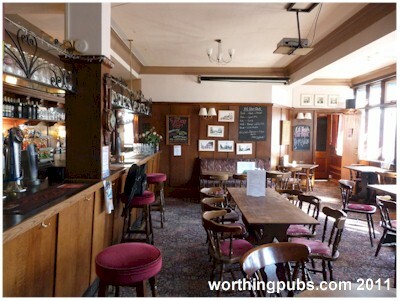 Unlike most pubs called the Royal Oak, this one did not depict a king hiding up a tree, but rather referred to a class of British war ship known as Sovereign class of which the Royal Oak was a type. 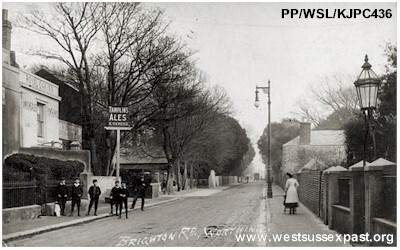 The original pub dates back to 1877 and maybe a little before. 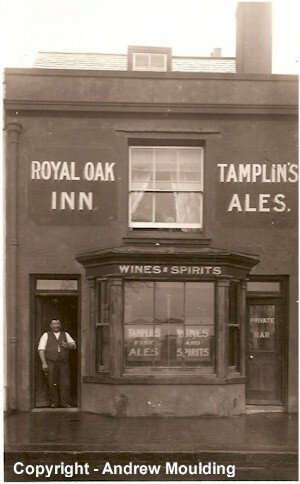 A picture that has recently come to light clearly shows the Royal Oak in the early 1900's. This building differs from the one above which looks like a single story rather than two floors. 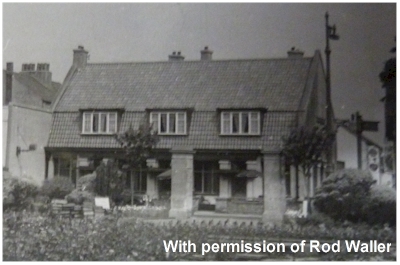 Original photograph of the Royal Oak supplied by Rod Waller of Denton Motors around the corner in Park road. 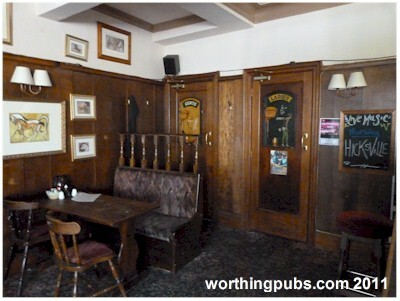 Rod's parents, Leslie and Ivy Waller, ran the pub in the late 50 to 60s. Leslie was a great car enthusiast and bought the garage behind the pub, eventfully leaving the pub to run the garage full time. His son Rod still owns it. The name Denton Motors comes from the name of the park across the road, Denton Gardens. 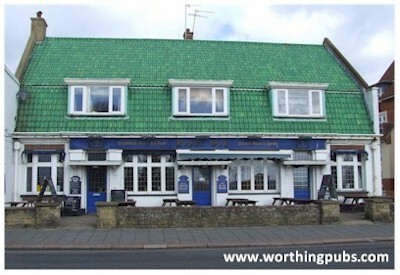 The pub sign is a double sided (different pictures) hand painted sign created by Nick Hallard of Eyebright, creator of traditional pub signs, who we are pleased to say, is based in Worthing. Nick is responsible for several local signs. 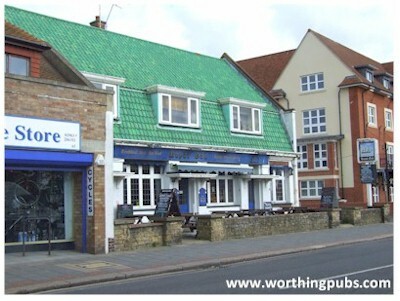 The mother of Dave Hunt, aka Mr Worthing, was born in the Royal Oak.